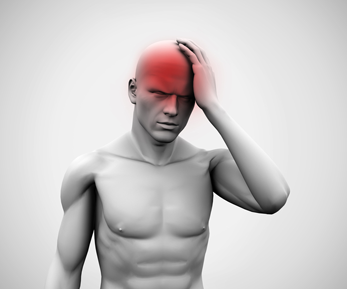 Having a headache can be a very common experience for all of us. Then again, this is something that should not be overlooked especially if this becomes a chronic condition. Headaches that seem to stick with you for extended periods can easily affect social activity, work performance, and other aspects of life in general. Also, if not addressed effectively, these regular headaches may lead to more problems. According to the World Health Organisation (WHO), migraine is among the top causes of years lived with disability around the world. According to a Medical News Today article, 90% of all headaches are tension-type headaches. This headache is usually caused by the tightening of muscles in the face and neck. As reported in the Lancet Neurology, 3% of the general population has chronic tension-type headaches. People who suffer from this condition liken the pain to having a tight band or vice on the head. In the Journal of Manipulative and Physiological Therapeutics, it was reported that spinal manipulation and other chiropractic treatments have been extensively studied when it comes to treating chronic headaches. Furthermore, the study implied that there is sufficient evidence to establish the efficacy of chiropractic care as results indicate that its application was highly beneficial. In essence, your trusted Nerang chiropractor can provide you with a chiropractic treatment plan that can effectively help you get rid of headaches. In addition, chiropractic care does not end with eliminating the pain. Here at Hinterland Chiropractic, we continuously emphasize the importance of prevention. With our holistic approach to eliminating chronic headaches and other health concerns, having and maintain a much healthier and more enjoyable life for you and your family can be very simple. Call us today at (07) 5527 3133 or simply book an appointment online to experience the science that is grounded on self-healing. At Hinterland Chiropractic, we see to it that we provide a comprehensive lifetime health care for every family in Nerang and other areas on the Gold Coast, as we have done so for the past 18 years.